Post 1945 there was one regime that murdered Jews because they were Jews and in particular because they were left-wing Jews. 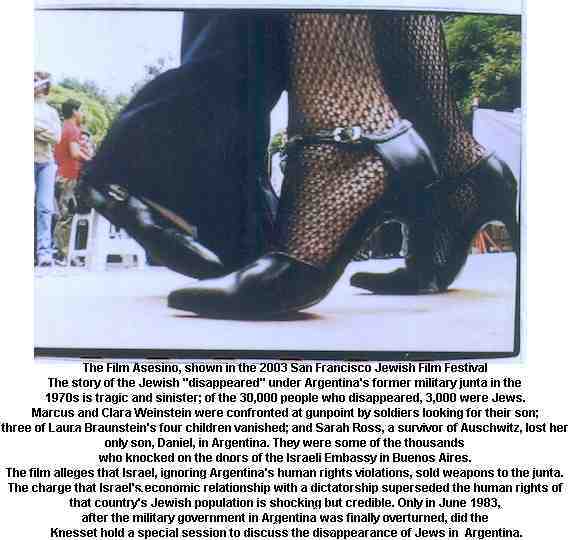 In Argentina between 1976 and 1983 3,000 of the Disappeared Ones were Jewish, 10% of those murdered by the fascists. Yet there was not one word of protest from Israel. Quite the contrary. It would seem that Israel was actually advising these torturers on 'counter-insurgency'. The major excuse for Jews to support Israel is that in the event of anti-Semitism reoccurring, then Israel will provide a safe haven. Argentina proves the opposite. If a regime comes to power that is anti-Semitic it will also be an authoritarian right-wing, probably semi-fascist friend of the United States and therefore Israel. Israel is likely to be supplying it with arms and advice. It is hardly likely therefore that Israel will stretch out the hand of friendship to its victims. I came across the following article in yesterday’s Ha'aretz. It is perhaps the ultimate in Zionist hypocrisy. The Knesset refused to debate the plight of Argentinian Jews when they were being murdered. Israel's Embassy in Argentina deliberately refused to process their visas because it traded in arms with this very same anti-Semitic Junta. The Zionists now want to bury the dead bodies of the same Jews it abandoned. Jews who had nothing but contempt for the murderous racists and fascist collaborators that constitute Israel's political class. 'The Knesset yesterday unanimously approved a decision demanding that Argentina extradite to Israel those Argentina colonels and generals involved in mass killings during the country's military dictatorship from 1976-1983 so that they can be put on trial. Just 19 MKs were present for the debate. It is noteworthy that just 19 members, i.e. less than one out of every 6 members, attended the Knesset debate and voted. But of one thing we can be sure. 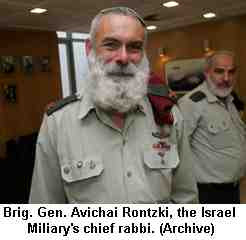 Israel would move heaven and earth to prevent the extradition of these generals and colonels. Why? Because they would sing like a canary about their relationship with Israel!! 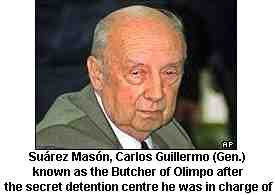 We can be sure that this is simply a propagandistic exercise now that Spain has demanded their extradition. And the delegation were, of course, right to be impressed with Viola's knowledge of Jewish affairs. Adolf Eichmann was also an 'expert' on Zionism and the Jewish communities. The Daia was considered by Jewish socialists and left-wingers as no different from the Nazi appointed Jewish Councils (Judenrat) in Europe in the war, who were an essential component in the Nazi plans for extermination. According to Ben-Gurion's national approach, the state constitutes the highest goal of Zionism and the Jewish people. He did not ignore the problems of the Jews in the diaspora, but nevertheless saw the goals of the diaspora as secondary to the goals of the state, whose mere existence serves the needs of the diaspora. Israel's role as a Jewish state was to strengthen the Jewish nation's status and power in the domestic and international arena by mobilizing the diaspora on behalf of this cause. In the particular case under discussion, the mobilization of the diaspora was achieved on two levels: bringing Jews to Israel and the adoption of a cooperative-passive policy by the Jewish community regarding the policy of the State of Israel. MKs Yair Tsaban and Yossi Sarid claimed that this policy and cooperation were implemented in flagrant ignorance of the Jews of Argentina. As Yossi Sarid put it: "In Argentina, Israel sold even the Jews for the price of its immediate interests." There is a cruel irony in the 'Jewish State' choosing between friendly relations with anti-communist regimes and the lives of Jewish citizens of those states. But we shouldn't expect any better. Socialist and communist Jews are regularly labelled 'traitors' and 'self-haters'. Why should they expect a state like Israel, the satrap of the United States, to place the interests of Jews above the interests of the State of Israel? The military censor this week decided to at last permit the publication of the book, except for several paragraphs which, so he claimed, might endanger certain person's lives or harm Israel's relations with other countries. The publisher, Ben Zion Zitrin, is about to offer the book to foreign publishing houses. Official Judaism, Dictatorship and "Pirkei Avot"
During the act of homage to "New Presence" (magazine) conducted last year with the presence of Osvaldo Bayer, David Viñas, Victor Heredia and others, Mrs. Frida Rosental, mother of Luis Ricardo, kidnapped on 31 August 1976, read a statement signed by fifteen families of the disappeared Jews. The text was very clear and distinct from the histrionics that official Judaism has set in motion, in time for a “self absolution” for the role played during the dictatorship. "The senior hierarchy of the Church and the armed forces," said the communique, two of the protagonists for the criminality of the military dictatorship, apologized. We know it was a hypocritical act, to adapt to new political winds, because in no way they are sorry for what they did as perpetrators and accomplices. In contrast, 'our people', the Argentinean Jewish Community establishment and various Israeli governments, did not do even that. And in recent years have unleashed a fierce self-laundering offensive to conceal their complicity. "One wonders at the audacity and brazenness of the Israeli authorities, which says absolutely nothing about their nefarious role in that era. Israel, like their American masters, gave the dictatorship financial, political and moral support and weapons. Our dear children suffered a double persecution: by fascist soldiers who were tortured and made them disappear. And also, by the Fascist Jews, who armed the murderers. In 1982, when Prime Minister Shamir came to Buenos Aires, He did not want to receive us . Shamir is a fascist and I am an antifascist. So was my son. And I am deeply proud of revolutionary dreams and struggles of my son. Who was a Jew and, perhaps, was killed with Israeli weapons”. In front of opportunism and hypocrisy of official Judaism in recent years I intend to address this issue, I try on every occasion to expose the falsity of the claim. Today, faced with a new event, convened by the leadership of the AMIA ( Argentinean Jewish Welfare Association) to pay "homage and remembrance for the missing Jews in Argentina", I chose to transcribe the concepts of two Jewish mothers. I think they are much more categorical and irrefutable than what someone like me could say, deeply involved as I was in this story, but not directly affected by the tragedy. Anyway I add a couple of stories. Human Rights Secretary Eduardo Luis Duhalde, a little over six years, while still a federal judge, took me (and Mary Gutman) to a television program about the Jewish community led by Daniel Schnitman. He recounted how at the end of the dictatorship and along with the poet Vicente Zito Lema, they interviewed in Europe Mr. Peregrino Fernandez, a policeman who broke down and confessed that much of the atrocities committed by him and his cronies. Peregrino, during the lengthy confession, gave details of how Herzl Inbar, minister counselor of the Israeli Embassy in Argentina, gave "counterinsurgency instructions”. But to better understand the philosophy of the leadership of the Jewish community, it is worth remembering the commemoration it staged in November 2001. It might seem crazy, leaders of the DAIA, in this time of rise of popular struggles, paid tribute to the police. And one of the honorees was none other than the police commissioner Jorge Palacios (alias "Fino"), who was the leader of the so-called "anti-terrorist unit", a body full of fascist elements. I have also put up an extract from a pamphlet, 'Zionism and its anti-Semitic Shadow' which I wrote nearly 20 years ago. It is still as relevant. See also this site for details on the military murderers that Israel was happy to trade and treat with. This is an excerpt from a pamphlet written nearly 20 years ago by me, ‘Anti-Semitism and Its Zionist Shadow’. It relates to the despicable silence, and indeed connivance, of the Israeli State in the murder of socialist and left-wing Jews by the Hitler-loving Generals and their Secret Police. Argentina has the highest Jewish population in South America, some 400,000. In Herzl’s booklet, ‘Der Judenstaat’, two areas are mentioned as possible sites for Jewish settlement, one of which was Argentina. Baron M Hirsch, the railroad millionaire who Herzl negotiated with in vain, spent large sums of money via his Jewish Colonisation Agency establishing Jewish settlements in Argentina, then a relatively undeveloped country open to colonisation, except in the immediate area around Buenos Aires. Although it achieved nominal independence from first Spain then Britain, it has always been economically dominated by imperialism. It is in this context that Peronism which sought rapid industrialisation at the expense of the agricultural sector, took off, building a political base in the unions that it helped create and sustain against the old vested interests. Until the latter stages of the 2nd World War, Argentina had been neutral though its neutrality was of the pro-Nazi variety and only when German defeat was imminent, did Argentina formally come out in favour of the Allies. 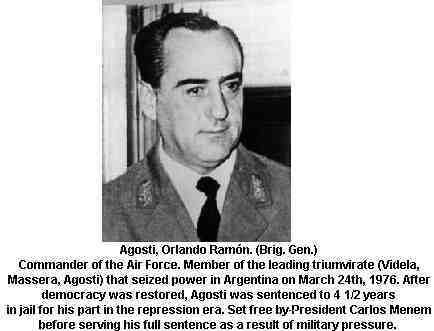 Peronism, which helped create unions rather than smash them, could not be described as fascist, though the regime he presided over -with reforms from the top- had a decidedly corporatist and militarist approach. In the mid-fifties Peron was overthrown and in his place there was a rapid succession of Generals and coups. Peronism, having existed in an era of a world boom, presided over rapid economic expansion, hence his room for reform with the result that Peronism gained a mass base, which split into a left and right in the sixties and early seventies. In 1973 Peron resumed power in vastly different political and economic circumstances, with the Montoneros - a powerful guerrilla group - conducting a war against military and business leaders. When Peron died, his second wife took over in March 1976 and before long the Army formally took over under General Videla. Argentina had since the end of the 2nd World War been a refuge for escaping Nazi criminals and with the Junta there came ‘an all-embracing arsenal of Nazi ideology as part of its structure. [‘Prisoner Without A Name, Cell Without A Number’ Jacobo Timmerman, 1980,Weidenfeld]. The ‘dirty war’ had arrived, and with it some 30 000 Argentinians were to die under army detention and torture and then to ‘disappear, dumped during the reign of terror of the generals. Between 1 500 and 3 000 of these were Jews. At the same time as there was a high profile campaign over Soviet Jewry, and not even the most ardent anti-communist Zionist would claim that Soviet Jews were being tortured to death in their hundreds, hardly a word was issued by the Zionist movement or the Israeli state. The person who helped bring many of these issues to the attention of the world was Jacobo Timmerman, a liberal Zionist and editor of the equally liberal ‘La Opinion’. 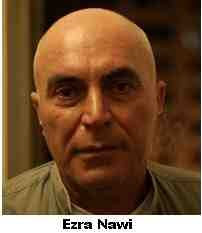 Arrested and tortured, he was expelled and went to live in Israel in October 1979. Although a large Jewish community, the communal organisation, Daia, was supported by very few and dominated by the Zionist parties (Labour Alignment/Mapam). Delegation members appeared impressed with General Viola’s knowledge of Jewish affairs, which he said, came from his contacts with Daia, the representative organisation of Argentinian Jews, as well as from Israeli diplomats in his country and family and personal ties. We should bear in mind that at the time, anti-Semitic papers such as ‘Papeles’ were proclaiming Buenos Aires to be the “capital of the Aryan world” and adorning their covers with pic-tures of Hitler and Mussolini, Tributes to the ‘martyrs’ of the Nurem-burg Trials filled their pages. As Hugh 0’Shaughnessy noted from Buenos Aires, the appearance of this magazine - alongside the older and equally virulent anti-Semitic monthly, Cabildo, is seen here as an indication that the military Government of General Viola is stepping up its campaign against Argentina’s 300,000 Jews. Both Papeles and Cabildo link the Jews with communism and blame both for the international outcry over human rights violations in Argentina. Paul quite adequately demolishes this particular lie and dismisses the other apologia that “Timmerman only discovered his Jewishness in prison”. What he doesn’t do is to explain the antagonism that he aroused. The answer quite simply was that Argentina, especially under the new Reagan regime, was an ally par-excellence - with a devoted fan in Jeanne Kirkpatrick, who openly disagreed with the United State’s reluctant support for Britain in the Malvinas/Falklands War. Couple this with the close military ties to Israel and the answer is fairly obvious. And whatever excuses can be found, as will be seen later, for the behaviour of the Daia, what excuse can there be for the American Jewish Congress giving a clean bill of health to Gen. Viola when they and other Zionist bodies don’t hesitate to use ‘anti-Semitism’ as a weapon against the Sandanistas? Only that anti-Semitism is used as another weapon to be brandished in the war against the Left. Most Argentinians are united in protesting against the award of the Maria Moors Cabots prize for journalism by Columbia University in New York to Jacobo Timmerman... He has aroused anger in Argentina by his criticism of the country’s human rights record and by the publication of his book ‘Prisoner Without A Name, Cell Without A Number’. This piece of yellow journalism is amazing even by the standards of the Jewish Chronicle. But then an unknown correspondent from Buenos Aires, had previously written that “Timmerman supported the Left wing of the Zionist movement in his early days” and that “The newspaper supported the Left wing of the Peronist Party during the return of Peron.” And repeating what has always been a standard Zionist line when it comes to fighting anti-Semitism (as opposed to anti-Zionism), it was Timmerman’s fight from abroad for human rights which “is considered one of the main factors inspiring a rash of anti-Semitic articles in the Argentine press.” [Ibid. 14. 8. 1981 ‘Timmerman Stirs Jewish Discord’]. Note how anti-Semitism is being blamed on Jews, though today Zionist propagandists deny that Jews have any responsibility for anti-Semitism. Presumably the Junta refused to give such assurances. Right up to the regime’s dying days, these bourgeois ‘leaders’ of Argentine’s Jews, ably supported by the silence of the leaders of world Zionism and the ‘Jewish’ state - so vociferous on nearly every aspect of Soviet Jewry and ‘anti-Semitism’ which involves criticism of the Israeli state - refused to give any support to actions against the Junta. It wasn’t mere cowardice but the logical outcome of the politics of accommodation to the rulers of society and the bourgeois attitudes they held. The guest of honour was Mr Itzhak Navon, formerly President of Israel. The mothers attempted to prevent his entrance to the Conference as well as that of the Israeli Ambassador to Argentina. Finally, after the rule of the Junta had finished, the Jewish Chronicle publishes an editorial referring to a publication by Daia ‘proving’ that that body wasn’t totally inactive during the rule of the Junta. 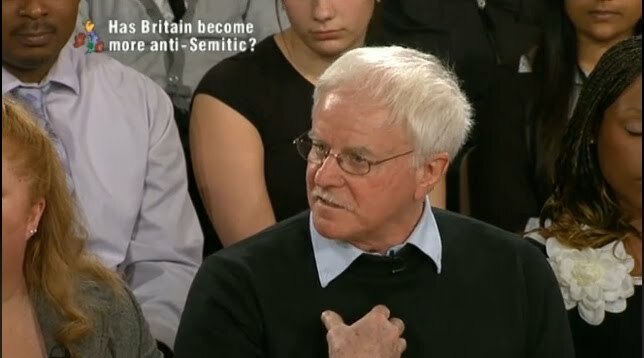 The ‘JC’ hesitated to answer the question it had raised, but any left-wing Jew with even a cursory familiarity with history would have no difficulty answering this question. Not a squeak of protest could be expected from the Board of Deputies of British Jews and those so voluble in speaking out for Israel. Spinelessness is an essential characteristic of the Jewish Establishment. Not that anybody asked the torture victims and the Jewish dead if they so regarded themselves. And this was the same excuse given for silence between 1933 and 1939. 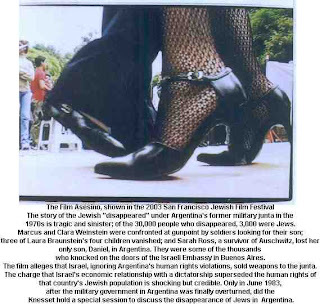 Even assuming that the official bodies of Argentine Jewry couldn’t act, and many like the mothers of the disappeared ones did act, to use that as an excuse for the Zionist movement’s inactivity and that of the Israeli state, is particularly dishonest. But Aaronsfield doesn’t intend to “take sides” because Argentina is “vastly different from that of any western country.” What is not different is the relationship of Daia, the Zionist body that ‘led’ Argentinian Jewry, to the Executive from other historical examples. During the early period of the Nazi regime, and not always under pressure, the German Jews discouraged intervention and protests which they felt would aggravate their position. At that time, too, the British Board of Deputies opposed public demonstrations under Jewish auspices while in the USA the ‘establishment’ of the American Jewish Committee frowned upon the agitation of the dissident American Jewish Congress. In fact what was actually being criticised was the small Zionist organisation Daia. And more importantly, the main criticism came from those such as the Mothers of the Disappeared. There are always a myriad of reasons to justify collaboration with anti-Semitic regimes. Fear of the communities under attack is always prime amongst them. But there is never any explanation of how the ‘Jewish State’ came to be so silent. Such is the twisted thinking of the Zionist ‘leaders’ who suggest one must forget about real anti-Semitism and the murder and torture of thousands of Jews by a Nazi-style regime in another country, because Israel is not able to fulfil its role of ‘ingathering the exiles’ from Russia. But the question still remains, why did Israel hold back until six years into the rule of the Junta? There is a level of sickness in any occupation that leads to the most vile acts. One only needs to read of the actions of Nazi soldiers or the US in Vietnam or the British in Iraq to know that. But Israel's occupation of Gaza reached new heights earlier this year. One example was the way that Israeli soldiers proudly displayed tee-shirts with slogans like one bullet, 2 dead (referring to a pregnant woman). Another example below is the daubing of graffiti on a child' doll. After seeing photos of children's bodies shredded by Israeli bombs and others burnt by phosphorous beyond recognition, I did not expect to be enraged by a photo of a graffitied doll. Yet, I stared in horror at the smeared doll in page 10 of Palestine NEWS [Autumn 2009]. The writing on the doll's head read zona in Hebrew, which translates to: "prostitute". The Israeli soldiers' violation of a doll, a symbol of childhood, reveals they particularly targeted children. 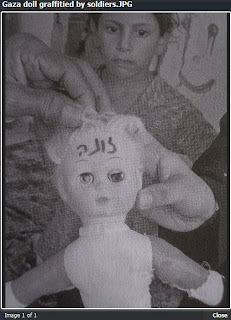 The despicable act of Israeli troops writing "prostitute" on Marryam's doll, not only exposes the depth of Israeli soldiers' hatred and dehumanisation of Palestinian children, but it gives us insight into the extent the Israeli ground troops took perverse pleasure in their killing spree of Palestinians in Gaza. The horror and terror is seen in Marryam's face - see photo attached. Marryam's violated doll should be included in a museum dedicated to the Israeli atrocities, which we should endeavour to help establish one day, as a memorial to the suffering of Palestinians. The caption under the photo of the doll in Palestine NEWS magazine [published by PSC] erroneously states the word was "nobody" instead of "prostitute". 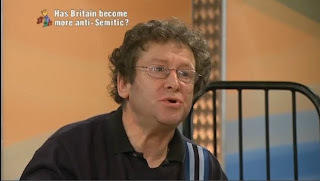 in reference to the (far smaller rallies) called on behalf of all Britain's Jews, even the most right-wing Zionists recognise that the actions of Israel and their association with British Jews are helping to create anti-Semitism where there is none. A senior United Synagogue rabbi will use his sermon tomorrow to condemn comments made by Israel’s Interior Minister, which were cited approvingly by the BNP. Rabbi Yitzchak Schochet, of Mill Hill Synagogue, who is chair of the Rabbinical Council of the US, hits out at the “extreme xenophobic” remarks made by Eli Yishai, who said that foreign workers would bring diseases to Israel and threaten Israel’s Jewish identity. According to a text of his Shabbat address, he also fears that the incident shows that Israelis “don’t care” about the possible consequences of what they say for diaspora Jews. Rabbi Schochet makes clear that generally diaspora Jews should not be seen criticising Israel and “when a member of my family misbehaves, I’m not going to criticise him publicly”. “When an interior minister verbalises extreme xenophobic sentiments, that then feed the BNP in this country to substantiate their abhorrent racist arguments, then that in itself demonstrates ever so forcefully how what happens there has direct bearing here. “As much as we have to appreciate that our identity as a nation is bound as one with the land, they have to understand that their identity as a medinah [state] is bound as one with the people. Reacting to Mr Yishai’s remarks on the deportation of illegal migrants, the BNP had said that Israel’s demand to remain a Jewish state matched its own for Britain to be an “ethnically majority” British state. Mr Yishai’s spokesman last week denounced the BNP as “a factory for anti-Israeli and anti-Jewish hatred”. 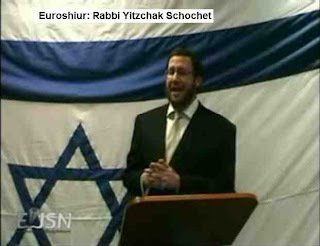 Yet More Nazi Rabbis - But You Won't Hear a Peep from the BBC! Apropos all that we've heard in the media of late, thank God that the people of Israel has united recently around the simple understanding of how it must fight. One of the major innovations of that offensive was the conduct of war - not as some kind of mission or detention." The Israel Defense Forces' chief rabbi told students in a pre-army yeshiva program last week that soldiers who "show mercy" toward the enemy in wartime will be "damned." Brig. Gen. Avichai Rontzki also told the yeshiva students that religious individuals made better combat troops. Speaking Thursday at the Hesder yeshiva in the West Bank settlement of Karnei Shomron , Rontzki referred to Maimonides' discourse on the laws of war. That text quotes a passage from the Book of Jeremiah stating: "Cursed be he that doeth the work of the Lord with a slack hand, and cursed be he that keepeth back his sword from blood." In Rontzki's words, "In times of war, whoever doesn't fight with all his heart and soul is damned - if he keeps his sword from bloodshed, if he shows mercy toward his enemy when no mercy should be shown." Rontzki's remarks came during a ceremony to celebrate a new Torah scroll at the yeshiva. The service was held in commemoration of Yosef Fink, one of two yeshiva students kidnapped by Hezbollah in 1986. Their bodies were returned 10 years later in a prisoner exchange. Rontzki also referred specifically to the Israel Defense Forces' conduct during Operation Cast Lead in Gaza. "Apropos all that we've heard in the media of late, thank God that the people of Israel has united recently around the simple understanding of how it must fight. One of the major innovations of that offensive was the conduct of war - not as some kind of mission or detention." "We all remember the beginning of the war, with a major attack of 80 planes bombing various places, and then artillery, mortar and tank fire and so forth, as in war,"
"Everyone fought with all their heart and soul, and that includes bravery of course, but also fighting with all the resources one has - to fight as if to truly determine the mission." Rontzki also referred to the qualities of the ideal combat soldier. "In Israel's wars, warriors are God-fearing people, righteous people, people who don't have sins on their hands," he said. "One needs to fight with an understanding of what one is fighting for." The facade of the Middle East’s ‘only democracy’ is slipping. Gaoling its critics, Arabs but now also Jews, is the action of a State for whom the enemy within is everywhere. This is the ‘Jewish’ State in the 21st Century. A state based on the principline of ethnicity, biological descent, obsessed by demographics and racial purity. Where even the pretence of ‘left’ Zionism has been abandoned to the nakedly chauvinistic, racist right of Netanyahu and Liberman (opinion polls in Israel suggest that the Israeli Labour Party will decline even further at the next election - from 12 to 7 seats). Below are some pieces on the heroes standing up to the Zionist onslaught on democratic rights. We're writing to you because you've already taken action to stop the imprisonment of these nonviolent heroes. We just got word in on their status and the news is not good. They need you to continue to take action. The day before yesterday, a judge extended the detention of Mohammad Othman for yet another 11 days. He was detained on September 22 by Israeli authorities when returning to the West Bank after a trip to Norway, where he advocated for boycotts, divestments, and sanctions (BDS) against Israel. Since his detention, he has endured long interrogations and solitary confinement. Yesterday, Israeli activist Ezra Nawi was sentenced to one month in jail. Why? On July 22, 2007, he tried to stop a military bulldozer from destroying the homes of Palestinian Bedouins in the South Hebron region. The whole incident was documented on video, except for a few seconds when Ezra was inside the shack being demolished. Israeli Border Policemen claimed to have been hit by Ezra in these few seconds, and the judge, of course, took their word over Ezra's. While these Border Guards go free, Ezra Nawi goes to jail. After over 20,000 of you wrote letters in Ezra's defense, the judge had tried to avert more bad publicity by encouraging Ezra to admit his guilt and take community service instead of prison time. Ezra could not admit a crime he did not commit, so rather than avoiding jail as a guilty person, he is going to prison as an innocent man. Ezra was further ordered to pay a fine of NIS 750 and NIS 500 to each of the officers he was wrongfully convicted of assaulting. In addition, Ezra was given a conditional sentence of six months in prison, should he 'participate in similar activities' during the next three years. Today, the first two young Israeli conscientious objectors of the class of 2010 faced the consequences of their refusal to serve in the Israeli army. The first was sent to his first ten days of jail. The second objector is under arrest, awaiting sentence. This has been a difficult week, but make no mistake -- the struggle is not over. We take comfort on Nelson Mandela's words, "In my country we go to prison first and then become President." Inspired by what we're doing? Please donate now. Every donation makes a difference. Weeks of solitary confinement. Six military hearings. Sleep deprivation. No access to a lawyer. No criminal charge. Mohammad Othman, a prominent Palestinian activist involved with War on Want partner, Stop the Wall, has been detained without charge by Israeli authorities. His detention is illegal - and he now faces the risk of torture. We need to take action to free him now. Write to the UK Foreign Secretary urging the British government to put pressure on Israel to release Mohammad immediately. 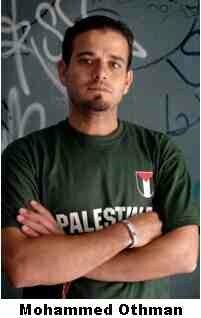 Mohammad has dedicated the last 10 years of his life to the defence of Palestinian human rights. Since his arrest by Israeli authorities on 22 September Mohammad has been subjected to six military hearings. Yet he still has not been charged with any crime, leading his lawyers to believe he is being targeted by Israel solely because of work in defence of human rights. During his time in detention, Mohammad has been held mostly in solitary confinement and subjected to lengthy interrogation sessions, threats and sleep deprivation. He is currently being refused access to his lawyers and last week was secretly moved to a new detention centre, where his lawyers fear he could now be tortured. War on Want is campaigning for Mohammad's urgent release. Please take this e-action now. With your help, we can free Mohammad Othman. On Wednesday 18th, over 200 students and staff demonstrated at the University of Birmingham as members of Senate arrived for their meeting. Slogans included "Students not Starbucks", a reference to the multi-million pound refurbishment of the Muirhead Tower which now incorporates a Starbucks in its reception area, but no reception staff. One of the student speakers remarked that they now have more choice in the kinds of coffee that they can get there than in the range of courses offered to undergraduates. The campaigners are fighting a proposal to close the University’s Sociology Department, and its associated Centre for the Study of Ethnicity and Culture, amidst growing concern about the University’s entire strategy for managing the social sciences. The closure proposal follows a review of the Department’s teaching and research activities which, critics claim, is based on flawed evidence and lacks legitimacy. This would be the third time the University has closed the Sociology Department, with the most recent closure being in 2002 (the Department re-opened in its present form in 2004). The current proposal would lead to substantial redundancies and uncertainty for students currently midway through their degrees. The British Sociological Association (BSA) has expressed serious concerns about the closure threat. In a recent letter to the Times Higher Educational Supplement (29 October) the BSA’s Council stated that: “It is inconceivable that any serious university with a mission to serve its region and wider society can abandon a commitment to high-quality and high quantity sociology” and has urged “the relevant decision-makers at Birmingham” to reconsider. The review of the Sociology Department is one of a series being conducted or planned across the University which are causing increasing disquiet. Earlier this year it was announced that the Institute of Local Government Studies would be restructured with a number of redundancies. UCU asked to see the report back in September, but this was refused on the grounds that it was a management document. Union members and staff were not allowed to see it until the statutory consultation period for redundancies had commenced. Dr. William Edmondson, President of Birmingham UCU, said "there were 6 options for consideration but they were never released until management had made their decision. This is disgraceful. The University of Birmingham management have no idea of what the word 'consultation' means." However, at the Senate meeting the University management appeared to be back-pedalling, and insisted that no decision had yet been made, and that all six options plus others were still under consideration. This gives the campaigners some cause for hope. Staff and students are calling on the University’s governing body to reject the closure recommendations and to establish a new and transparent review that includes all stakeholders, lifts the threat of redundancies and addresses the institution’s wider strategy for the social sciences. They are also calling on support from the academic and student community through an online petition and email campaign. A decision will be taken by the University Council on November 26th. 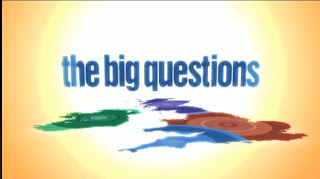 I was invited as a guest on BBC1’s The Big Questions last Sunday, hosted by Nicky Campbell. 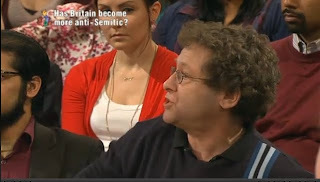 The topic was the alleged rise of anti-Semitism. I must confess I hadn’t heard of the programme before. 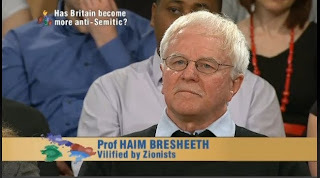 The programme, rather ambitiously, tackles 3 topics in a one-hour slot – and they were violent video games, inter-ethnic adoption and anti-Semitism. It was about 2 topics too many! 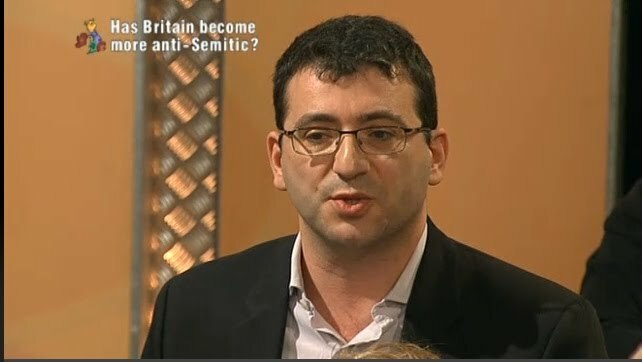 The 20 minute session on anti-Semitism was almost a text-book example of how, subtly and almost unnoticed, the BBC’s establishment bias is seamless and pervasive. Zionism, which shares the same viewpoint as anti-Semites, viz. that Jews belong in Israel not in the Diaspora, was entirely absent from the fight against Oswald Moseley’s British Union of Fascists in the 1930’s and the National Front in the 1970’s, is nonetheless concerned about ‘anti-Semitism’ today, or rather ‘new anti-Semitism’ i.e. opposition to Israel. Sela also didn't (apparently) know that the 20% of Israelis who are Arab or non-Jewish, don’t (except for the small Druze community) serve in the Israeli army. More probably she was more than aware of all of the above but believed that lies serve the Zionist cause more effectively than the truth. She certainly has good reason to hold such a belief. Nicky Campbell called her repeatedly and failed to challenge her statements at any time, which says a lot for the (lack of) research behind the programme. It was also noticeable that Campbell failed to get the quite basic point I made, which was that if the Board of Deputies of British Jews [i.e. all Jews] goes out of its way to organise rallies in support of Israeli war crimes, then it is hardly surprising that some people believe them. A simple point but one that seemed to elude him. I got the feeling that Campbell is cerebrally no Paxman or John Humphries! On our side there were just 2 anti-Zionists – Prof. Chaim Bereshit of the University of East London and myself. Despite this, and together with Black and Muslim members of the audience, we more than held our own! But even the build-up to the programme, with stories of an Essex scout troop having shouted ‘yid, yid, yid’ on Remembrance Day at Jewish veterans, was exaggerated. 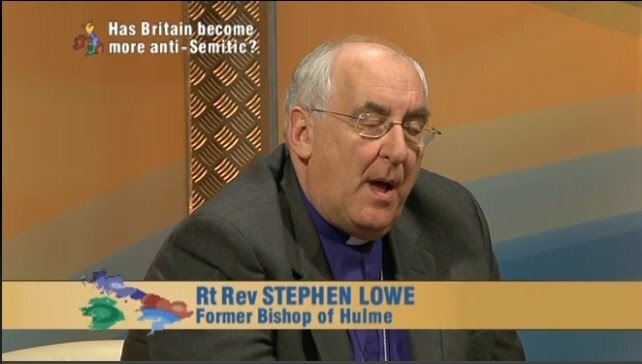 In fact it was one Scout, ‘Antisemitic abuse by scout on Remembrance Day’, JC 13.11.09. was not contextualised. My father told me that in the 1930’s if you were a Jew you couldn’t walk down certain streets in the East End of London without being physically attacked and in fear of your life. The few and far incidents today, at worst mostly verbal or cemetery daubings, often a consequence of Israel’s claim that it is a Jewish State acting on behalf of all Jews, are not comparable with what Jews experienced in the past. Indeed such claims of ‘anti-semitism’ merely trivialise the very real racism that Jews experienced in the Europe of the first half of the last century. 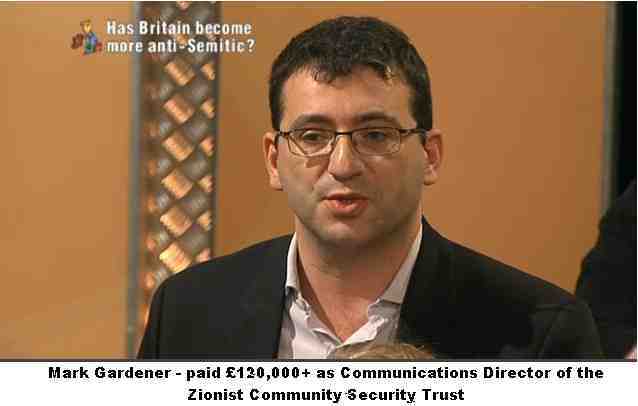 Today in Britain there is no state racism directed against Jews, and it is noticeable that Gardener of the CST boasts of his organisation’s close links with the Metropolitan Police who were responsible for the torture and abuse of Barbar Ahmad who was paid £60,000 in damages for their criminal assaults. In other words a thoroughly racist police force, which the Jewish establishment sees as its ally. Yet despite the heart-rending tales of a Jewish rabbi about being spat on, the sympathy of the audience was not with the Zionists. It was all too neat and to be blunt some of the allegations should be taken with a pinch of salt. False allegations of anti-semitism by Zionists are not unknown. Zionist Federation representative, Sacerdoti, had the chutzpah to claim that the Rally in Support of Israel earlier this year, was a ‘peace’ rally despite the fact that it echoed the pretext for Israel’s attack, the ‘terrorism’ of the besieged victims of Gaza and their elected representatives Hamas whilst not uttering a word of condemnation of Israel’s murderous attack which took the lives of 1,400 people including 400 children. At no time of course did it call for a halt to Israel’s bombing of civilians. And this is a Zionist peace rally!! Sacerdoti, when asked by Campbell whether a denial of Israel’s right to exist was anti-semitic, replied in the affirmative. Yet this is a loaded question. Was it racist to say that the Apartheid State of South Africa or similar states had no right to exist? Certainly a racist state, whatever its name, has no right to exist and must be dismantled. But if you equate a state with the people living under its control, then we revert to the ideology of Nazi Germany, that the State is everything and the role of the people is to serve the State. But what is really at issue are the so-called European Union Monitoring Committee’s Working Definition guidelines on anti-semitism. One example given is ‘Denying the Jewish people their right to self-determination, e.g., by claiming that the existence of a State of Israel is a racist endeavor.’ Even leaving aside the muddleheadedness of the definition, which is what one would expect from a State sponsored attempt to define a political philosophy, the idea that Jewish people form a nation or race (and historically the terms were used interchangeably) was the staple diet of anti-semitism. So we have the irony that the main definition of anti-semitism used by Zionism today is itself anti-semitic!! What was interesting is that the statistics of the shadowy CST were taken as given by Campbell. 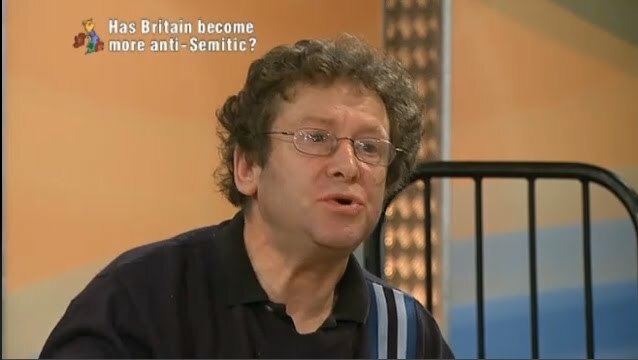 When I questioned them and suggested there were lies, damned lies and statistics, Campbell turned to Gardener to ask what the statistics were, without once questioning whether the CST and its £100,000+ head might have a vested interest in creating ‘anti-Semitism’ as a counter to the very real oppression of Palestinians. This is how bias in the BBC manifests itself. Not in the crudities of Stalinist propaganda but in more sophisticated taken-for-granted assumptions. Gardener of course was apoplectic. ‘I am really really appalled… to actually deny the integrity of the statistics…’. As well he might be! A controversial BBC radio programme about the Community Security Trust includes allegations that the CST “bumps up” the figures on anti-Semitic attacks. “A War Against Prejudice,” due to be broadcast on Radio Four on Sunday, features interviews with Jewish critics who believe the CST exaggerates the problem, thereby stoking up paranoia within the community." The CST is a body that is neither accountable nor transparent. Indeed it is a most opaque organisation. Its trustees are not listed, almost uniquely, on the Charity Commission website. Its accounts do not list its donors. It is a multi-million pound operation making £1m + surpluses each year [as you will find on the Charity Commission website] and at least 3 employees are paid over £100,000. Its assets are nearly £10 m and although last year was a bad year, with only an £8,000 surplus, the previous year it was £2.3m and the year before that £1.7 m. There can’t be many anti-racist organisations so well funded and with such well-paid employees! The CST, which polices Zionist meetings, physically attacked a Jewish heckler at the Rally to Support the Attack on Gaza earlier this year and as a matter of policy excludes Jewish anti-Zionists, for which it has been condemned by Liberty. On one occasion it even got it wrong and excluded the left-Zionist Mapam organisation, as well as groups like the Jewish Socialists Group of course. Yet this organisation, mainly consisting of ex-Israeli security personnel has never once been involved in anti-fascist mobilisations, still less the demonstrations against the EDL and naturally played no part in campaigns against the pro-Zionist BNP. Yet the BBC and Campbell accepts it as a neutral unbiased recorder of statistics when its whole modus operandi is to conflate anti-Zionism with anti-Semitism. Gardener is in fact an extremely right-wing Zionist, who is quoted only this week in the Jerusalem Post as stating that Shlomo Sand’s book The Invention of the Jewish People was anti-Semitic. The book has spent 19 weeks on the Israeli best-sellers list. True it debunks most of Zionist mythology about the Exodus, European Jews originating from Palestine as opposed to the Khazars by the Black Sea and explains that there is no scientific evidence to support the biblical myths. A worthy academic debate you might think. But no. To Gardener it is anti-Semitic! "There are many ways, often subtle, in which anti-Israel or anti-Zionist debate can have an anti-Jewish impact. However, a new anti-Zionist book by Tel Aviv University Prof. Shlomo Sand remolds the paradigm: with notions of Jewish peoplehood now under attack in the service of anti-Zionism. "The sense of common lineage, kinship and peoplehood that Jews around the world share and hold is a fundamental part of their identity, as perversely demonstrated by the splenetic accusations of 'self-hater' that are hurled by some Jews at others who do not toe the majority line. '"Sand's agenda is to sever the historic link between the Jewish people and the Land of Israel,… To promote that agenda his book ignores archeological and genetic evidence.' ‘TAU Historian accused of anti-semitism’, Jerusalem Post 15.11.09. Now when Nick Griffin tried to explain that his racism is really a wish to trace our lineage back to the original white inhabitants of these islands some 17,000 years ago, as the Ice Age was ending, people mocked him. But Hoffman and Gardener are saying exactly the same thing. Gardener talks of a ‘common lineage, kinship and peoplehood between the Jewish people and the Land of Israel.’ This could be Alfred Rosenberg talking of the blood links between the German Volk and the soil of Greater Germany. It is utterly reactionary and racist nonsense but it underpins the ‘historic’ claims that Zionism made for settling Palestine. There was a time when it was the anti-Semites who sought to 'prove' that genetic evidence proved that the Jews were a separate race and nation. Now it is the Zionists who are protesting that genetic 'evidence' is being ignored. In fact genetics tell us nothing about 'race' still less about any Jewish association with Palestine. And just in case you didn’t get it, then ‘the splenetic accusations of 'self-hater' that are hurled by some Jews at others who do not toe the majority line.’ is also proof of Gardener’s thesis. What Gardener is saying is that because some people use racist arguments, such as anti-Zionist Jews are ‘self-haters’, this is therefore proof that their racism must be correct! A circular argument which ironically proves that Gardener is understands very well that the ‘self-hater’ slur is part of Zionism’s biological determinism. The term ‘self-hater’ was used in South Africa against anti-apartheid Whites and in Nazi Germany against anti-fascist Germans. So he is in very good company! Perhaps the most effective contribution came from the retired Bishop of Hulme, Stephen Lowe, who recalled that he too was called an anti-Semite when he questioned the Israeli attack on Gaza and its murder of over 400 Palestinian children. And therein lies the truth. It is therefore ironic that the EUMC Definition of ‘anti-semitism’ includes ‘Holding Jews collectively responsible for actions of the state of Israel.’ Presumably it had the Board of Deputies in mind! What conclusion should one draw? That one cannot expect the BBC, with its record over the Disaster Emergency Appeal, which it refused to show, to be unbiased on Palestine. The BBC almost invariably takes the same position as the government of the day and when it doesn’t, as was the case initially over Iraq, then it gets hauled over the coals as in the Hutton Report. Yet the natural sympathy of people in Britain is with the underdog and Israel, despite its pretensions at being a victim, is seen by most people as the United State’s bully in the region. And its well-heeled supporters are likewise seen as defenders of the indefensible trying to portray themselves as victims. Over the past 4 years the Campaign to Boycott Israel has grown by leaps and bounds. UNITE (T&G section) and UNISON have both endorsed the call, as has the Scottish and Irish TUCs. Even the British TUC has called for a boycott of the produce of Israeli settlements on the West Bank. 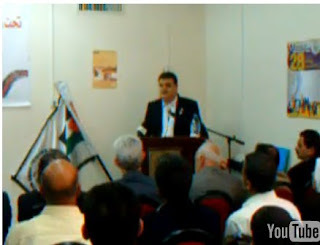 You might think that Shaher Sa’ed, General Secretary of the Palestinian General Federation, was pleased about this. After all, he might not be elected but the support of workers around the world for the Palestinian cause is a recent phenomenon. But no. Like the Chairman of the Palestinian Authority, Sa’ed is also a good friend of the Zionists. Whenever the apartheid Israeli ‘union’ Histadrut makes an appearance at a trade union conference they always cite the PGFTU in their support. After many years, last year Histadrut handed back a fraction of the money it had stolen from Palestinian workers who worked in Israel. They had ‘contributions’ deducted at source from their wages to Histadrut, who in turn did nothing for them. PGFTU and Sa’ed were more interested in getting this blood money than doing anything for those that they represent. Histadrut have used this payment, a couple of million dollars, as a PR exercise to pretend that they are in full support and solidarity with Palestinian workers. denying them their rights. It has kept silent in front of Israel’s crimes against our people throughout the decades of occupation. We are thus asking the international trade unions to boycott the Histadrut to pressure it to guarantee rights for our workers and to pressure the government to end the occupation and to recognize the full rights of the Palestinian people." 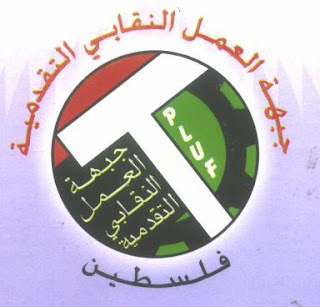 The Progressive Labor Action Front called upon the Palestinian General Federation of Trade Unions to issue a clear statement on the statement of the Zionist labor organization, the Histadrut, claiming mutual relations with the PGFTU, on September 26, 2009. The PGFTU already agreed to fully halt all relations with the Histadrut and commit to an anti-normalization position, as well as to the national Campaign for the Boycott of Israel, of which the PGFTU is a member, with a representative on its coordinating committee. The PLAF called upon the PGFTU to immediately correct the situation and reaffirm its adherence to the decisive national commitment to the rejection of all forms of normalization, and to take action to urge international labor unions, particularly those in the European Union, to join in the boycott of the Histadrut and to fully embrace the campaign for boycott, divestment and sanctions against the Israeli occupier. co-operation" posted on the website of the International Confederation of Trades Unions on September 11, 2009. The Histadrut statement denounced the Palestinian and international boycott campaign and called upon labor organizations to reject the united Palestinian demand for isolation of Israel. This reflects the nature of the Histadrut, which has been since its founding a basic component of the Zionist movement, based on racism, ethnic cleansing and the dispossession of the Palestinian people. It claims various partnerships and relationships with the PGFTU and attempts to utilize these relationships to justify its anti-boycott advocacy. The PLAF called upon the PGFTU to make clear in all international labor fora that it rejects all forms of normalization with the occupation state - of which the Histadrut is one - and its racist, fascist components, and to mobilize all forces domestically and internationally in expanding boycott, divestment and sanctions campaigns. In addition, the PLAF discussed the harsh realities confronting Palestinian workers, including humiliation at checkpoints and roadblocks, unemployment caused by closure and siege, and pushing workers into "illegal" work inside Palestine 48, deprived of all rights and protections for working conditions. It called upon all components of the trade union movement in Palestine to develop their work to defend Palestinian workers in an active and influential way, and confront the occupation firmly and effectively in defense of our people. But of course Shaher Sa’ed is more interested in his own status and that of the collaborators who run the Palestinian Authority than the needs of Palestinian workers. This statement of Shaher Sa'ed will be used by the Zionists to attack the Boycott movement. It will not succeed but it can and will cause damage, especially when one considers that the TUC leadership never wanted anything to do with Boycott, as its General Secretary Brendan Barber has made clear repeatedly. Sa’ed has also been invited previously to Palestine Solidarity Campaign trade union conferences and events. We call on PSC and its Trade Union Officer, Bernard Regan not to invite this scab to any further events. He represents nobody, has not been elected for years, and is a friend of Histadrut, the very organisation which was responsible for founding the Israeli state. It is an act of scabbing that is on a par with the actions of Mahmoud Abbas, who for the sake of profits from a telecommunications deal for his corrupt cronies, withdrew a motion supporting the Goldstone Report at the UN. Abbas has said he will resign but the Zionists say openly that this is merely a call by him for people to ask him to stay!! And they are right without a doubt, despite having been treated as a footstool by Israel. It is for the Palestinians to be rid of these parasites but we ourselves in the solidarity movement and Palestine Solidarity Campaign should resolve to have nothing to do with either the Israeli sponsored Palestinian Authority or its pawns in the Palestinian trade unions, like the unelected Sa'ed.This isn't of course unknown. When the Jewish anti-fascist boycott of Nazi Germany was at its height, the Zionist movement behaved similarly, instituting the Ha'avara agreement between the Zionist Organisation and Nazi Germany, thus ensuring that Palestine of all places was where German goods could be bought in abundance! It destroyed the Boycott. And when the Jewish Fighting Organisation in the Warsaw Ghetto began its unequal fight against the Nazis, the first thing they did was neutralise or eliminate the Nazi appointed Jewish Council and the Jewish Police (mainly composed of Zionists). The longer Shaher Se'ed and friends continue their work unhindered the more difficult it will be to build solidarity with the Palestinians because we have to fight not only the Zionists but their Palestinian collaborators. Below is an example of Shaher Sa’eds handiwork. An article in the London Jewish Chronicle this week praising PGFTU and Sa’ed says all that needs to be said about this collaborator. The right wing in Britain’s TUC is lapping it up and Sa’ed is happy to help them. The leader of Palestine’s equivalent of the TUC has told a delegation of British trade unionists that they are not interested in general boycotts of Israel. 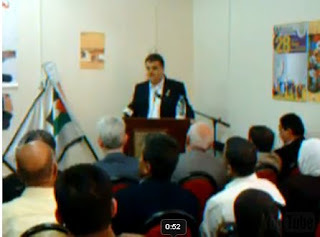 Shaher Saeed, general secretary of the Palestine General Federation of Trade Unions (PGFTU), told representatives of seven unions that the organisation had so little interest in the subject it had never discussed boycotts, divestment and sanctions (BDS) and therefore had no policy on the subject. "The only area where the PGFTU did have a boycott policy was with regard to produce from West Bank settlements. Even then, there was concern about whether that boycott could do more harm than good for the 30,000 Palestinians employed there,"
said Steve Scott, director of Trade Union Friends of Israel (Tufi), who was with the delegation that met Mr Saeed. The delegates were Sheila Bearcroft, GMB central executive council member and TUC president 2009; Gerry Moloney, head of communications, Advance Union; Mike Dixon, national executive member, Usdaw; Robert Mooney, national executive member, Community Union; Duncan Harrod, public relations and communications officer, Community Union; and Terry McCorron, chair, Unison branch, attending in a personal capacity. The delegates maintained a daily blog during the trip and in it, Mr Moloney wrote: "Listening to people from both communities on the subject of the proposed international trade union boycott, it is evident that all parties oppose this action. In a meeting with the Jerusalem municipality workers, one view from the Palestinian contingent was that a boycott would be more detrimental to the Arab workforce than any other." The reason was that in the event of economic sanctions, it would cause a detrimental impact on the employment levels of their community. On another day, Mike Dixon wrote: "There was a discussion about the boycott and it is clear that Palestinians don’t want it — all they want is equal pay and a living." The group met high-ranking Israeli officials as well as Palestinians during the four-day trip, one of two groups that Tufi takes every year to meet trades unionists on both sides.Mr Scott said: "Both Histadrut (the Israeli union federation) and the PGFTU are working hard to improve relations. It is very important that UK unionists see and hear for themselves the views of people on the ground, rather than the one-sided rhetoric of some of the organisations in Britain." Ni'ilin - The Wall Falls Down!